You’ve put in long nights and early mornings to earn your degree, and now it’s time for the next stage of your life. The team at our Honda dealership near Lawrence, KS, wants to congratulate you on your accomplishment and help you get a head start as you begin your career with the Honda College Grad Program. What does this Honda rebate entail? Qualifying participants can save up to $500 on a 2017 or newer Honda model when they finance it through Honda Financial Services. 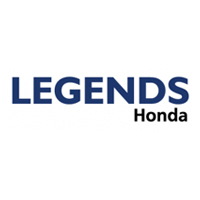 * See how you can save with the Honda College Grad discount when you visit Legends Honda. Celebrate your achievement by shopping our new Honda inventory and saving on a new Honda lease or purchase. You can buy a fuel-efficient Honda Civic or Insight model, or decide to finance a new Honda Accord sedan. Looking for a new Honda SUV that offers more room for your commutes around the Greater Kansas City area? You can view our new Honda CR-V lease specials, test-drive a new HR-V or finance a Honda Pilot SUV. We have new Honda trucks and minivans like the Ridgeline and Odyssey for sale, too, giving you a variety of options to assist you during post-graduation life. Contact Legends Honda or head straight to our Honda dealership near Lawrence, KS, to see how you can take home a new Honda car, truck, SUV or van with up to $500 in savings! *The Honda Graduate Program is limited to the 48 U.S. contiguous states, Alaska and Hawaii. For well-qualified customers who meet Honda Graduate Program criteria, subject to approval by Honda Financial Services (HFS). Bonus offer applies toward any new 2017 or newer model year Honda when financed or leased through HFS. Only offered at participating dealerships. Only one $500 Honda College Graduate Bonus offer per vehicle. LEASE: $500 applied towards the cap cost of vehicle. Monthly payment and total due at lease signing are calculated after $500 reduction. Cannot be combined with Zero Due at Signing Lease program. PURCHASE: $500 applied towards down payment. Offer not valid on Honda Certified Pre-Owned Vehicles or used Honda vehicles. Offer valid through March 31, 2019, and may be terminated at any time. Verifiable proof of employment or firm commitment from an employer with start date no more than 120 days from date of finance contract. Must have graduated in past two years or will graduate in next six months. No adverse credit history. Master’s, Bachelor’s or Associate degree from U.S.-accredited college or registered nursing school. Provide Honda dealer with credit and document requirements. Option to defer first payment 90 days (60 days interest-free) is only available with traditional financing (not leasing).